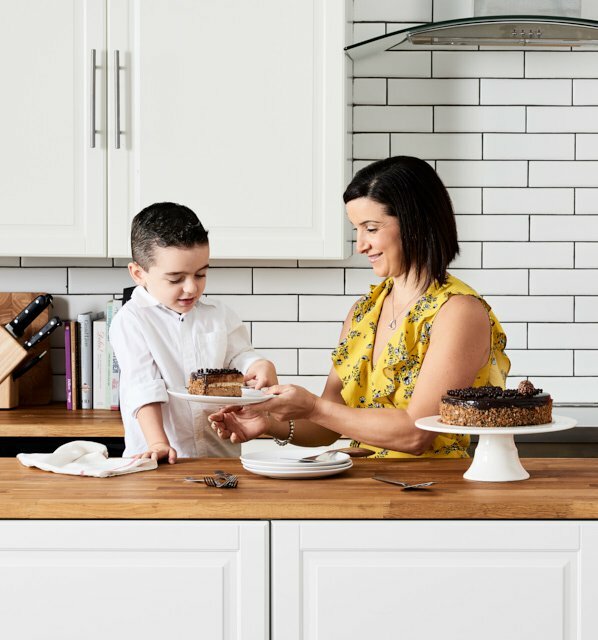 Welcome to Sydney's premier cake delivery company offering a wide range of delicious products – birthday cakes, macarons, mini sweets, individual desserts, tarts, pies, pastries and more – all baked daily at our commercial kitchen and delivered FREE anywhere in Sydney. Whether you're looking for cakes in Sydney CBD, Manly, Campbelltown, Liverpool, Parramatta, Castle Hill, Penrith, Sutherland, Cronulla, Alexandria, Baulkham Hills, Blacktown or the Eastern Suburbs, we have you covered with our next day cake delivery Sydney service. Order online today! Looma's gourmet cakes are baked daily and made using the finest ingredients. Whether you need a birthday cake delivery in Sydney for a party this weekend, an office birthday cake delivery, a gift sent to a loved one, a last minute cake delivery or simply an after dinner dessert delivery, Looma's will deliver right to your doorstep no matter where you are in Sydney. Order one of our amazing cakes online, including our newly introduced red velvet cake. We also offer a popular gluten free cakes range. Browse Sydney's best cake shop without leaving your home. Our sophisticated ecommerce store allows you to order online and have Sydney's best cakes delivered straight to your doorstep anywhere in Sydney. For wholesale enquiries check out wholesale cakes sydney. Due to popular we've introduced a range of vegan cakes which we've made so delicious that you would never tell the difference between our standard cakes and the vegan range. Our delectable macarons come in over a dozen classic flavours including salted caramel, pistachio, hazelnut and many others. Check out our 5-star reviews to see why our macarons are considered to be Sydney's best. Not only are our macarons delicious; we also offer the convenience of delivering them straight to your door anywhere in Sydney. For wholesale enquiries check out wholesale macarons sydney. Order our macarons online. Our party packs are perfect for party food catering in Sydney. Choose from our range of pastries, pies, quiche, sausage rolls or delicious sweets. Order online and we'll deliver anywhere in Sydney, Mon to Sat. For the best mini desserts delivered in Sydney, order here. Click here to enquire about our wholesale service - wholesale macarons in sydney - wholesale cakes in sydney. Cake shops sydney, moving to online?